Do you want to know how to get to the osan (station)? There are many ways you can get to osan (station) such as public transportation (bus, subway / metro), taxi and Blacklink limo/transfer/shuttle service. Don't sweat outside waiting for other transportation with your luggage. Make a round trip reservation with Blacklink as you plan for your trip. It is easy, convenient and available 24/7. Then, the assigned Blacklink driver will greet you at the arrival and will drive you to the osan (station). You can use Blacklink for not only hotel but also Gimpo Airport (GMP), Myeongdong, Jongno-gu, guesthouse, resort, airbnb, lodging and anywhere you want to go in Korea. Check out Blacklink customer review posted below. 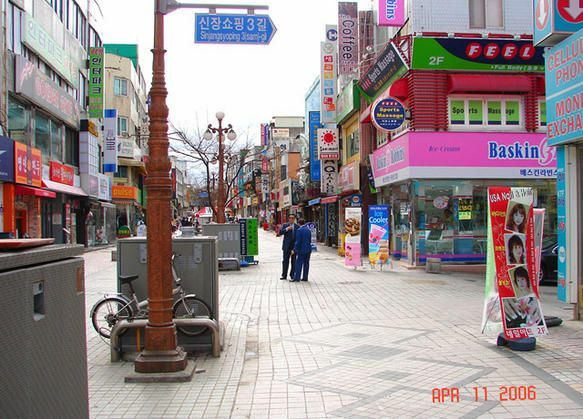 Osan(Korean pronunciation: [o.san]) is a city in Gyeonggi Province, South Korea, approximately 35 km south of Seoul. The population of the city is around 200,000. The local economy is supported by a mix of agricultural and industrial enterprises. It is famous for one of the largest markets in South Korea, Osan Market, which has been in continuous operation since 1792. The city was the scene of brutal battles with communist forces during the Korean War in 1950 (see Battle of Osan), before being taken over by American forces soon afterwards; there is a statue dedicated to UN forces on the outskirts of the city. The United States Air Force base named after the city, Osan AB, is not actually located in the city, but is instead 8 km (5 mi) south, in the Songtan section (formerly a separate city) of Pyeongtaek. Osan Station is a large subway station located in the heart of Osan. It is part of the Seoul Subway Line 1 and the KTX. There is a bus terminal next to the subway station and many buses stop in front of the subway station.